We Develop Code, Minimal, Easy and Bug FREE. We are a team of technical and domain experts who build superb solutions for customers. 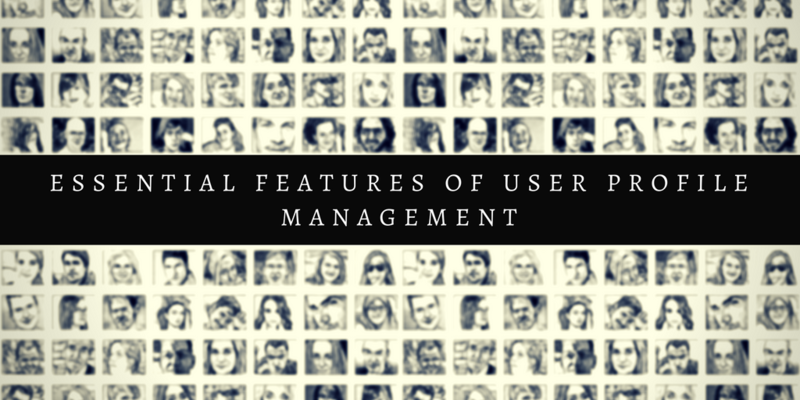 Eases Your Joomla!© Users' Profile Management. Serve your content to your choice of crowd with doing nothing. Get Rid of Spam Users and Add Intelligence In Your User Registration. Auto Change/Assign Joomla! UserGroups After A Time Period. Pre-Registration Email Validation plugin allows your users to validate their email id before registration. With Login Failure Alert plugin you can receive email alerts when login attempt made by user is not successful. Login notify is a plugin that send email alert when any user log-in to the system. This plugin allows you to create logout button anywhere in Joomla! website. It is a Joomla! plugin which filter the content of an article according to users' Joomla! usergroup. Registration validation plugin add the ajax validation support to default Joomla! registration. We are a professional team of skilled developers strive to create awesome Joomla software solutions. We believe in going that extra mile to create a lasting experience with our support. Our friendly support staffs would always be able to assist you for any inquiries that you may have. Keeping the code quality standard is what makes us alive in this field. 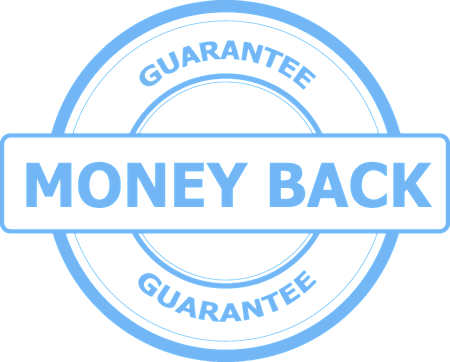 We provide 15-Day 100% Money Back Guarantee, that is sufficient time to try our extensions. We work hard to give you a bug free products. But if any issues are found the product is updated immediately and customers are notified. We incrementally improve our products, instead of trying to deliver it all at once. We always follow a reliable refund policy to let our customers feel privileged about their association with us. We provide 15-Day 100% Money Back Guarantee, that is sufficient time to try our extensions. Check our forum or join us on social network to get support from us and get updates. Resolve your issues speedly by learning from others experience and expert guidance through Forum. Join us on Facebook, G+, Twitter to get latest news and get in touch. 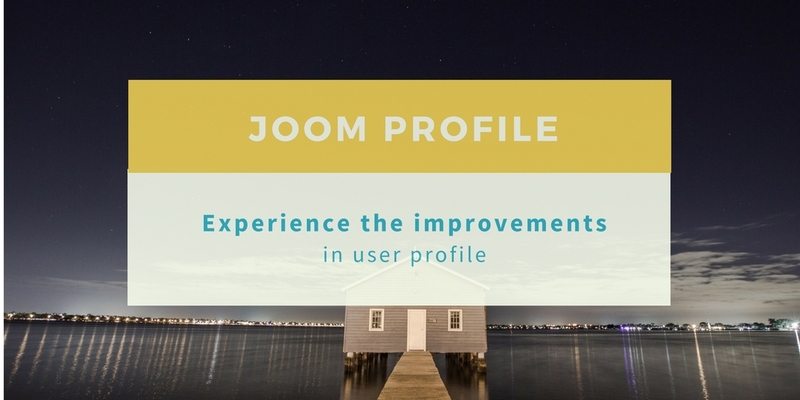 Presenting you another release of JoomProfile with some exciting features which can bring your Joomla profiling system to one level up. 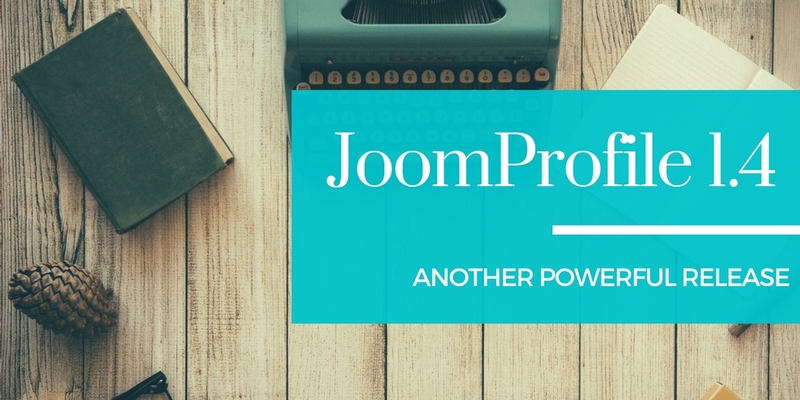 Let’s have a quick look at what you are going to get in JoomProfile 1.4. Profiling is growing...so do we are. With ever changing business demands, we have identified many enhancements that are required in a profiling system for better user experience. Any User's Profile is an important media to enhance communication and workflow across the Organization. The number of users directly correlates to revenue – whatever business you are in. Thus the Profile must be organized and discoverable. Good management of Users profiles can promote sales, drive new clients, contacts or prospects. Now, How to control & manage User Login and Registrations? How to provide the website members with best quality end user experience during Registrations and logins? 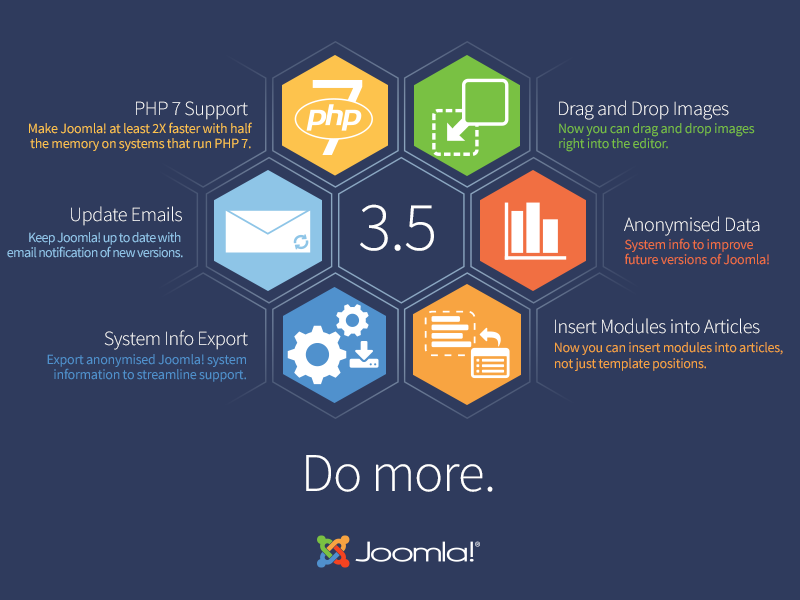 As we all know, Joomla 3.5 is released recently which has numerous features, including support for recently released PHP 7 scripting language, which significantly increases web site speed. The other highlighted features which are available with this release are Download system & environment information, Ability to add a user CSS file to Protostar, Added site and admin links to module user, Article counts, Random category blog and list order, Editor Buttons added to the Toolbar, Easily Insert Modules in Articles, Drag and Drop Images etc. We have 1000+ happy customers in last few years. You can check what they're saying about us. I've been using 'Delete my Account' Joomla! extension on a couple of Joomla! 3 websites we have recently built. It was very easy to install and set up on J! 3.2.2. When I discovered a problem with the extension, Function90 Support Team sent me a new version within an hour - excellent. Considering this extension is FREE, it shows great commitment from Function90 not only Joomla! but also to their customers. I recommend both this extension and Function90, you will not be disappointed! Delete MY Account is a handy piece of program which can be set and run in a minute. It's great support proactively followed up to fix some issues on my website. I have also received a custom kit for this purpose. I highly recommend this handy and useful plugin. Thanks for great support.